FIRE THE RIG: MOVEMENT CLIMBING + FITNESS 4 YEAR BDAY PARTY - FREE CLIMBING!!! 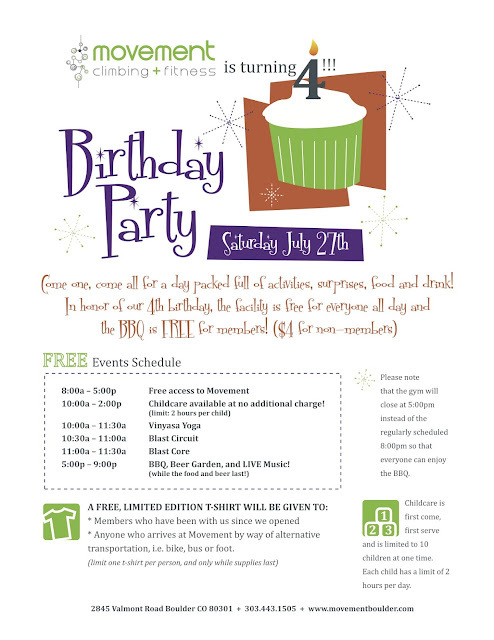 MOVEMENT CLIMBING + FITNESS 4 YEAR BDAY PARTY - FREE CLIMBING!!! Come celebrate 4 years of Movement Boulder tomorrow with FREE climbing for all, BBQ (Free for members $4 for non-members), Beer, Climbing Vendors, and Shwag!